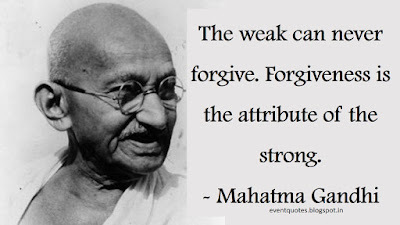 Gandhi Jayanti Quotes: Gandhi Jayanti is celebrated in the India in the memory of Mahatma Gandhi. In this post, you will find Gandhi jayanti quotes in hindi. 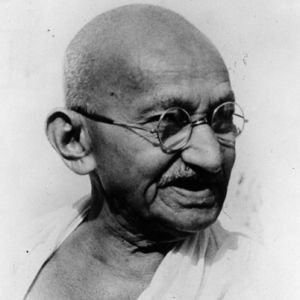 Gandhiji fought for the freedom of the India. 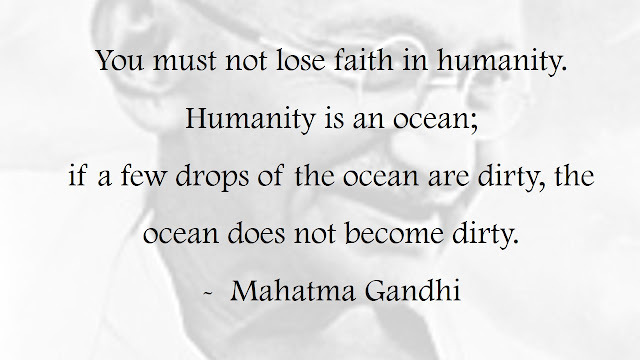 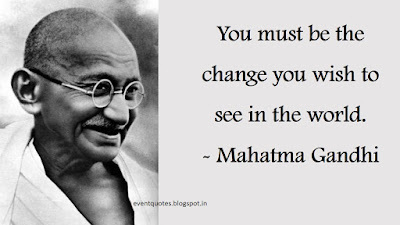 You can use this Gandhiji quotes in Gandhi Jayanti speech and Gandhi Jayanti Essay. 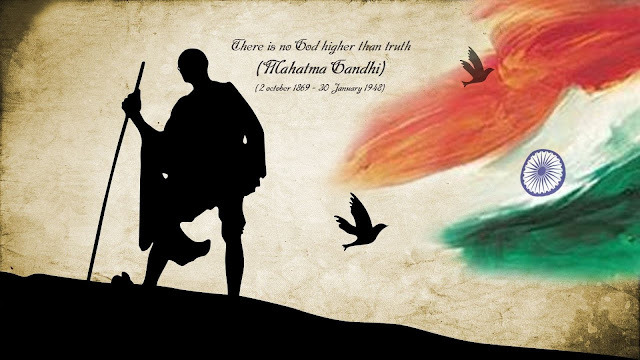 Gandhi Jayanti Wishes will make this day special and memorable for everyone to whom you will send this messages. 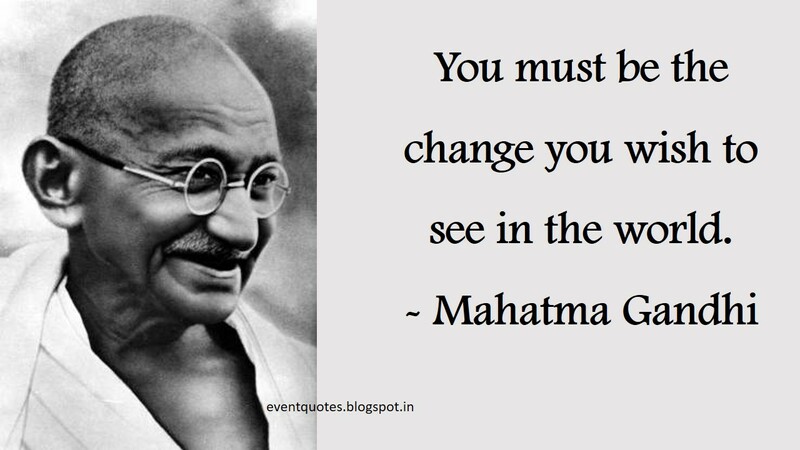 You will also find gandhi pictures and gandhi images in the lower section of this post. 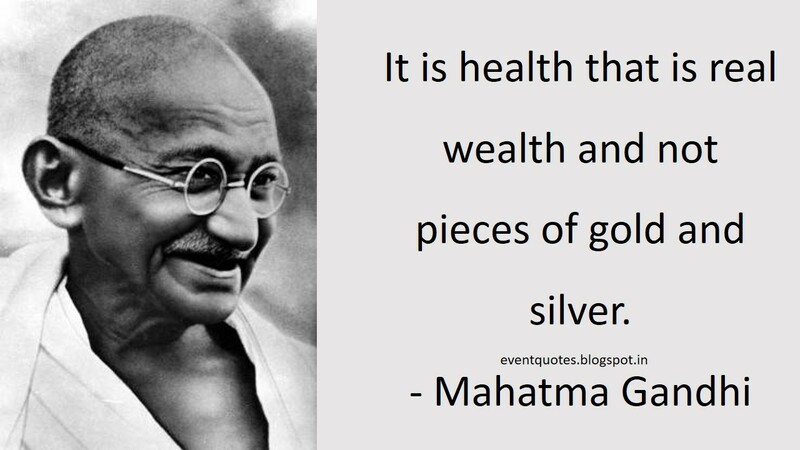 Mahatma Gandhi Quotes are inspiration to millions of people to live the better and successful life.
" 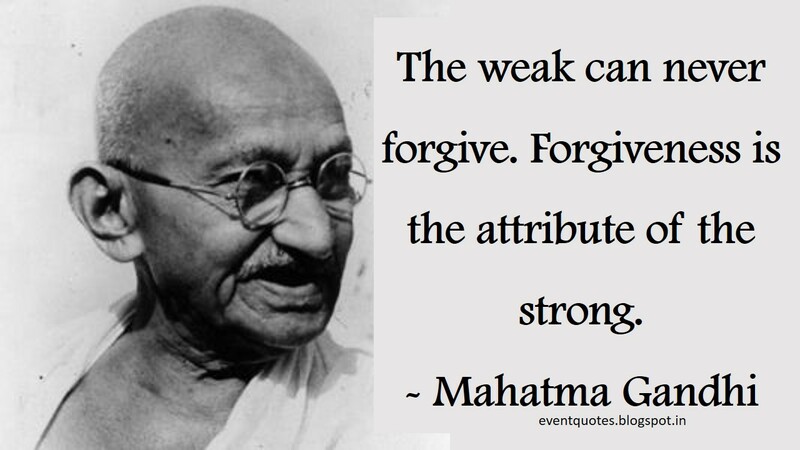 The weak can never forgive.
" An eye for eye only ends up making the whole world blind. " 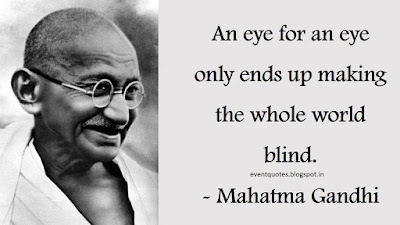 " चलो हम सब मिलकर महात्मा गाँधी का आदर्श भारत बनाये। आप सभी को गाँधी जयंती की ढेर सारी शुभ कामनाए। "
" सत्य और अहिंसा के इस महान पुजारी को उनके जन्मदिन पर शत शत नमन। गाँधी जयंती की शुभकामना। "
" Gandhi Jayanti is not only a day but a great festival of the great person who fought for the freedom of India. The birthday of great global leader. Happy Gandhi Jayanti." 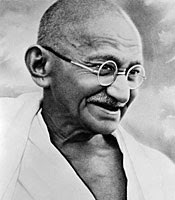 "आज़ादी के महान सिपाही को उनके जनम दिन पर शत शत नमन। गाँधी जयंती की बहुत बहुत शुभ कामनाए। "
" सत्य और अहिंसा की राह पर चलने का हौंसला हम बनाये वोही गाँधी बापु को हमारी ओर से सबसे बड़ी भेंट होगी। गाँधी जयंती मुबारक हो। "
" Wishing you a great day as the great leader of the world. 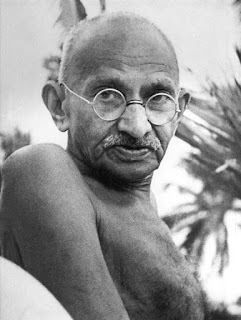 Happy Gandhi Jayanti"
" Have a million wishesh of Gandhi Jayanti as Gandhiji was the reason of millions of smiles of country. 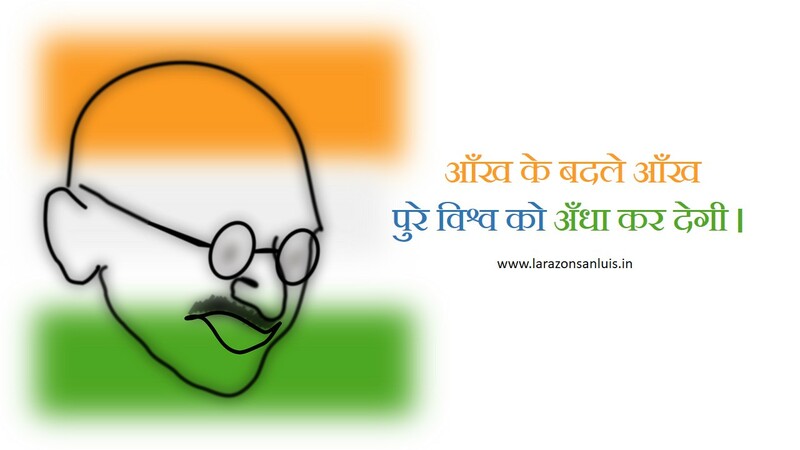 Happy Gandhi Jayanti. "